Drawing inspiration from the world of aviation design, the RSD Turbine Harley Air Cleaner took some major design cues from jet engines. The result is a timeless design that compliments virtually any style of bike while providing maximum flow. 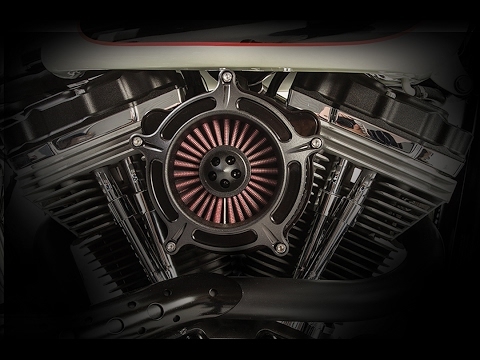 A bolt-on upgrade in performance and style, the Turbine Air Cleaner delivers an increase in air volume to your intake, giving your motor the ability to breath easier and turn out heart-pounding horsepower. Big Twin EVO / Twin Cam with S&S Super E/G Carburetors only!